Your tires are an important component of your vehicle, making it vital that you have a tire repair service shop you can rely upon. But do you really understand what it is that your tires and wheels do? Yes, they serve as the point of contact between your vehicle and the road, but they are also what propels your vehicle down it. Your engine supplies the power, yet how much is needed depends upon the resistive force generated between your tire and the road surface as well as the weight of your vehicle. To drive, your engine must produce enough power to overcome this friction. That power is manifested in the rotational force of your wheels, which then uses the tires to apply it to the road surface. To learn more about how tires work, visit Meineke #892 in Harrisburg, PA. Tires are one of the most essential parts of your vehicle. They act as the only point of contact between your vehicle and the roadway, so they are vital for proper safety. They can also significantly impact how well your vehicle performs. If you fail to take your vehicle in for a scheduled tire change service, you could be increasing the wear on your vehicle and lessening the lifetime of connected components. You may also be putting yourself, your vehicle's occupants and others on the roadway in danger. As tread wears down on a tire, it does not maintain as much traction, which could cause your car or truck to lose control on the road. 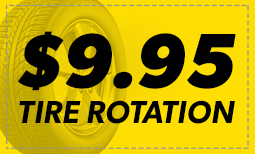 Stop by Meineke #892 in Harrisburg, PA to learn about a tire rotation service to prolong the life of your tires. "My tires seem a bit worn down, should I find a flat tire repair shop near me?" This is a frequently asked question, but there is no universal answer. However, there are easily observable signs that your tires may need to be replaced or repaired. For example, if your tire pressure reading is consistently low, even after replacement or inflation, you may want to consider tire pressure sensor replacement. Loss of tread, poor vehicle handling, and visible punctures are also common signs of wear and tear. Stop by Harrisburg PA Meineke #892 to speak with a tire repair professional. Tires are vital to the function and safety of your car or truck. The ridges and patterns that make up the tread of your tire are what help it grip the road and shed water to increase traction. When a tire's tread wears down, your vehicle no longer has the same traction and can become more unpredictable or more difficult to handle safely. Underinflated or overinflated tires often cause sidewall damage that can be dangerous, which can lead to sudden tire explosions on the road. Your tires should always be kept properly inflated. 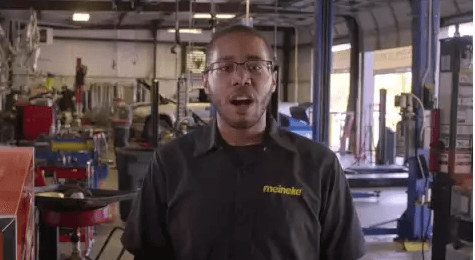 Learn about tire pressure sensor replacement when you stop by Meineke #892 in Harrisburg, PA. While proper care and maintenance can extend the life of your tires, a trip to your local repair shop for new tires is inevitable at some point. The key is knowing when you should bring your vehicle in for servicing so that you can prevent worn tires from affecting other vehicle systems. At Meineke #892 in Harrisburg, PA, we recommend replacing your tires at least once every 10 years. Sometimes, replacement needs to be done more frequently. Bringing your vehicle to us for regular inspections will allow you to spot major issues before you end up stranded on the side of the road. If you're in need of new tires, you probably have concerns about the actual cost of tire replacement. While worn tires increase your risk of performance and stability issues on the road, that doesn't make affording new tires any easier. Fortunately, we at Meineke in Harrisburg, PA can. Once you have your new tires, be sure to make frequent visit to our Meineke #892 web page. We frequently post repair and tire rotation coupons there. This is our way of rewarding the trust you place in us.